can this be microwaved? if so how long?? Yes, it will take about 3 minutes in the microwave. I might add a spoonful of brown sugar to this, but it looks delicious! 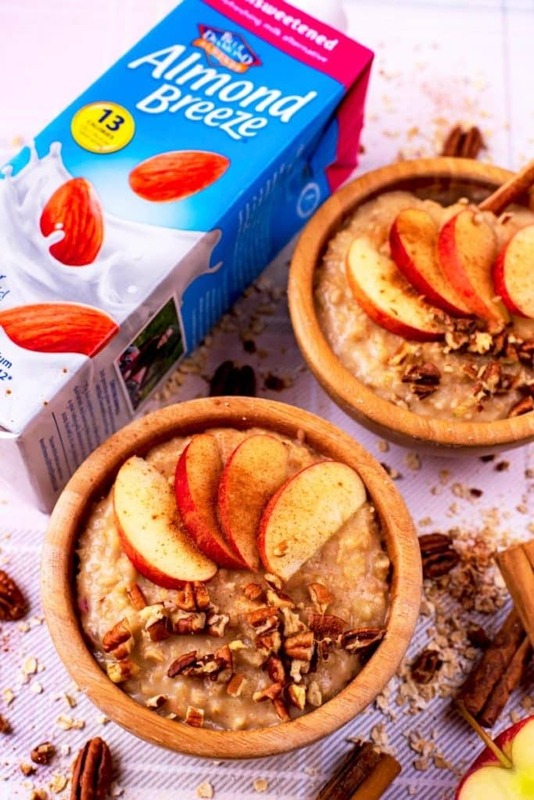 I could start every day with a bowl of these apple pie oats! They are perfect for this time of year and I love that they are healthy! Oh yum! Apple and cinnamon is one of my favourite flavour combos. So perfect! 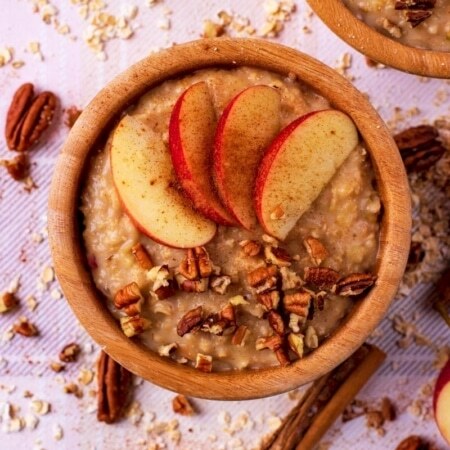 I I LOVE apples and cinnamon (way more than pumpkin and anything), so I am loooving these oats! 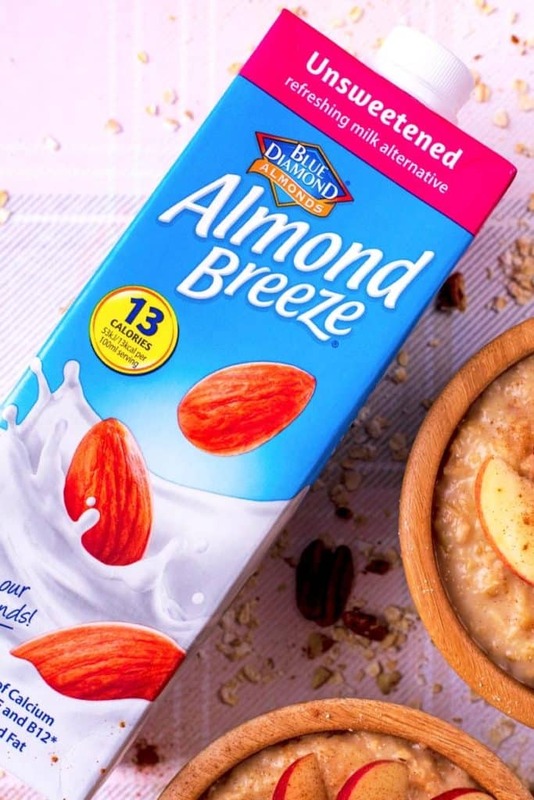 Apple pie gone healthy is always a winner, and even better with Blue Diamond almond milk! These are oats perfection, my friend! Cheers! Yes nothing like apple & cinnamon for a flavour combo 🙂 This sound absolutely delicious! 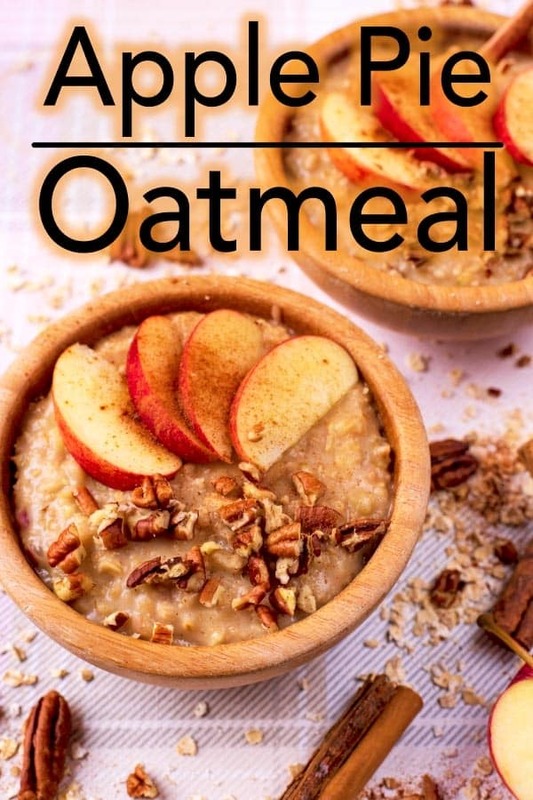 Thanks for this simple oats recipe to start my day off. I am really into both apples and oats for breakfast lately so bring this on! This is the perfect recipe to use for the scrumptious, crisp apples. And we are moving past smoothies to warmer, more comfort type breakfasts too! Yum. I will have to check out that almond milk too. 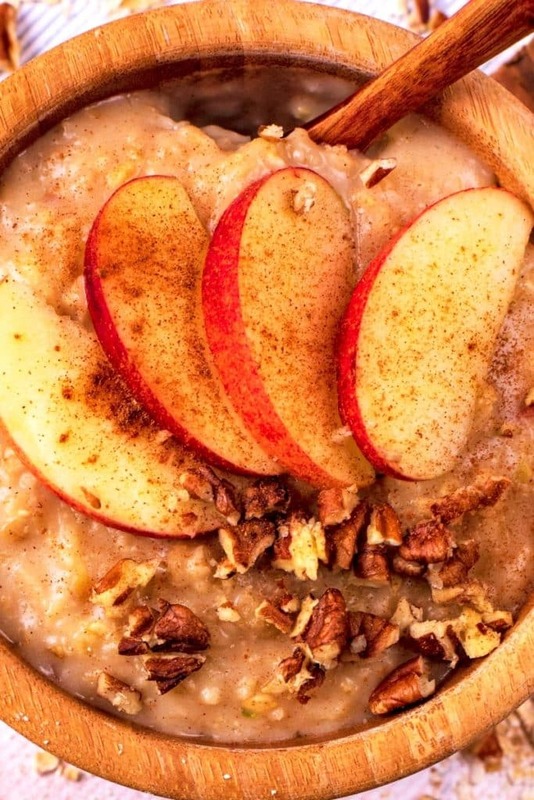 Apple pie is one of my all-time favorite foods, so this is basically my ideal way to start the day! I am going to pick up some of this almond milk to give it a try. I love that this is on the healthier side. I always go apple picking in September, so I’m going to remember this recipe! 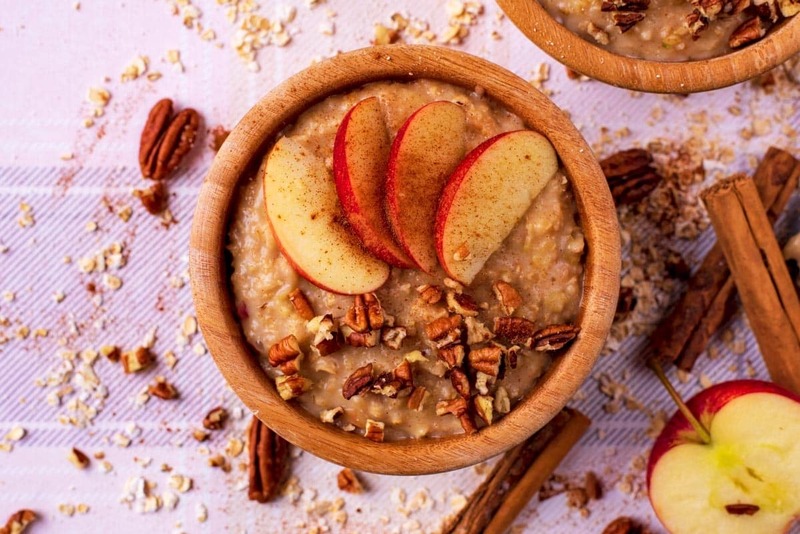 Apples and cinnamon in porridge is just one of the best combos! I like to add in a few raisins too, or some flaked almonds. 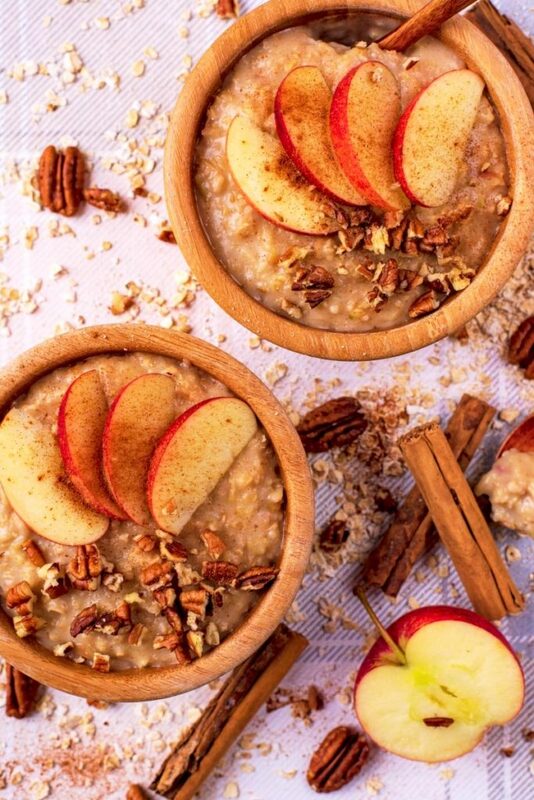 What a perfect way to add some fall flavor to an awesome breakfast!